Here is another excerpt from The Last Day of Forever. I noticed Rachel rolled her eyes when I said that. “I’ll be making my home here. My mother passed away recently, and Ethan’s father has kindly agreed to take me into his home as one of the family.” With that Rachel smiled, but even I could see it was forced. “Of course,” I replied, but it was becoming quite clear even to me that such would not likely be the case. “And you’re Ethan’s cousin?” Laura asked with a nod of her head. Laura looked at me as she replied to Rachel. “I see . . . ” She took a deep breath then said, “Come along, Ethan. Let’s find our pew.” With that she fairly dragged me by the arm up the steps into the church. My mother, Sarah, and Laura’s father were already seated at the far side of the pew, leaving room for the rest of us. I stood aside to allow Rachel and Laura to be seated. They each gestured for the other to go first, but neither moved to accept the offer. For a moment I was sure they would fight over who would be the more polite. “Rachel!” snapped my mother in an assertive whisper. Rachel gave in with a huff and sat beside Analee. Laura smiled in triumph and took a seat beside her. That left me on the end of the pew with Laura between Rachel and me. I had not expected her to be as mad as she was, and I wondered why she had suddenly become so desirous of my company. Laura and I had been friends since we were kids. Lately, she had become somewhat possessive of me and had even mentioned marriage on more than one occasion. I never gave the subject much thought. My attentions were focused on school and gaining a commission in the Army. With Morgan’s help, I had been admitted to the Virginia Military Institute. With four years of school ahead, marriage was not an immediate concern. 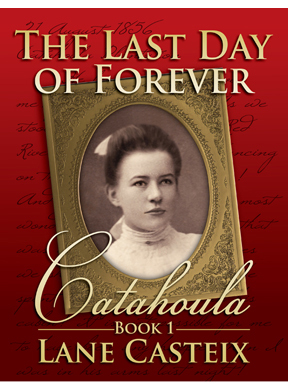 Laura was a pretty girl with blond hair and blue eyes and was one of those rare women who grows lovelier with age. At seventeen she was attractive enough, but when I saw her three years later, she was strikingly beautiful. I helped my mother and Sarah into the carriage then turned my attention to a very sullen Rachel. I could not imagine what had come over her. I helped Laura up, and we hit another of those impasses like the one at the pew. My mother and Sarah had taken a seat in the rear of the landau. Rachel seated herself in the center of the front seat. “Move over a bit, Rachel,” said Laura with a smile. “I thought you might like to sit on the side where you would be more comfortable,” replied Rachel as she gestured to the seat beside her. I decided this had gone far enough. “I’ll sit in the middle! Push over Rachel, unless you want me in your lap.” Rachel slid over, Laura took the other outside seat, and I sat between them. I looked up at my mother and saw she was trying to hide what looked like a smile behind a handkerchief as she dabbed perspiration from her lip and pretended interest in the nearby cemetery. My sister stared off into the woods as if she was oblivious to what had just happened. Either she was indeed dazed and confused, not an unusual condition for her, or she had just felt the sharp point of my mother’s elbow in her ribs as warning not to interfere.